The first Soviet liquid-fuel rocket, GIRD-X in 1933. At far left is Sergei P. Korolev, later chief designer of the Soviet space program. 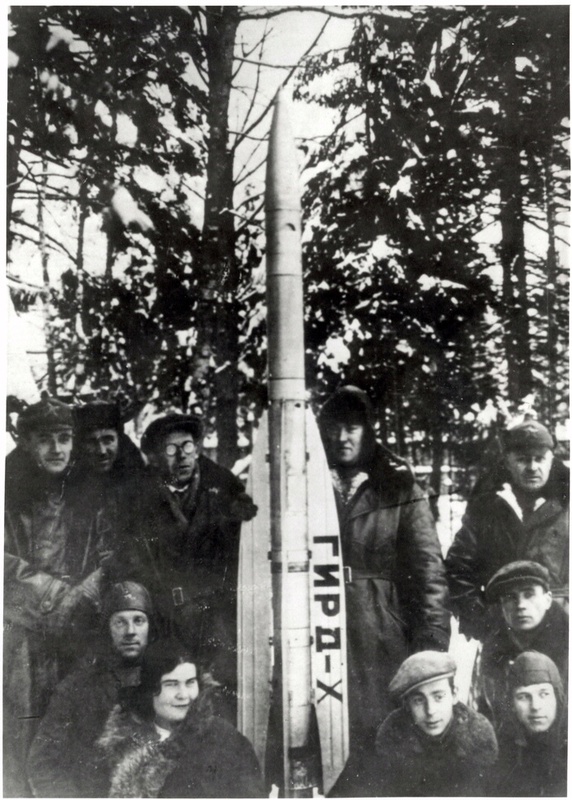 Russian rocket engineers and enthusiasts pose with their first liquid-fuel rocket, GIRD-X in 1933. At far left, with a Red Army cap, is Sergei P. Korolev, who would lead the Soviet space program during the 1950s and 1960s.